Pardon for my few days hiatus! I have been recovering from this huge jetlag which is forcing me to sleep at 8PM, and being wide awake at wee hours is not helping me to cope up. We just came back to France a week ago, and the 30 degree difference is quite a shock! Which made hot showers and heaters as my best friend these days. 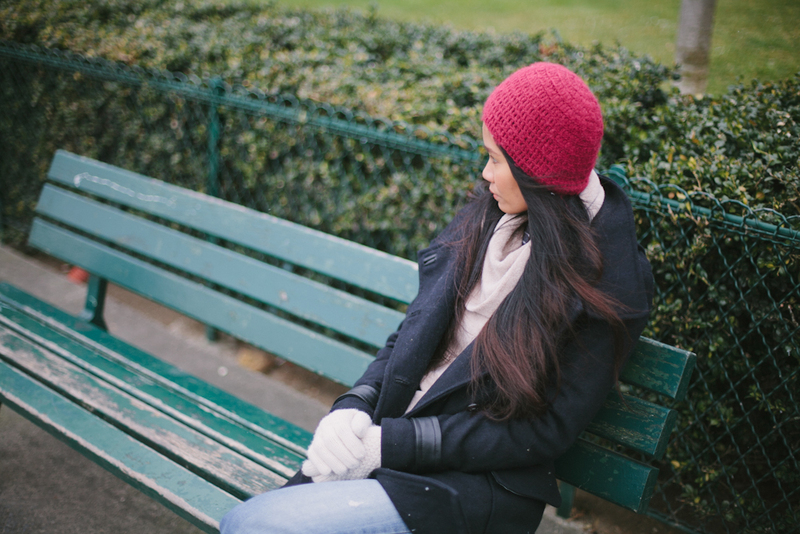 A day after we arrived, Lénaïc and I went to Paris right away to film our second client for the year. I can’t believe that we are packing our duffles (once again) not to mention we haven’t had the chance to unpack our over flowing excess baggage! Oh mon dieu! But good thing our filming went very well despite the very harsh cold that burns our face and made our ears frozen numb, whilst searching for great spots to shot (if skills permit, I would love to share you later what we have captured). 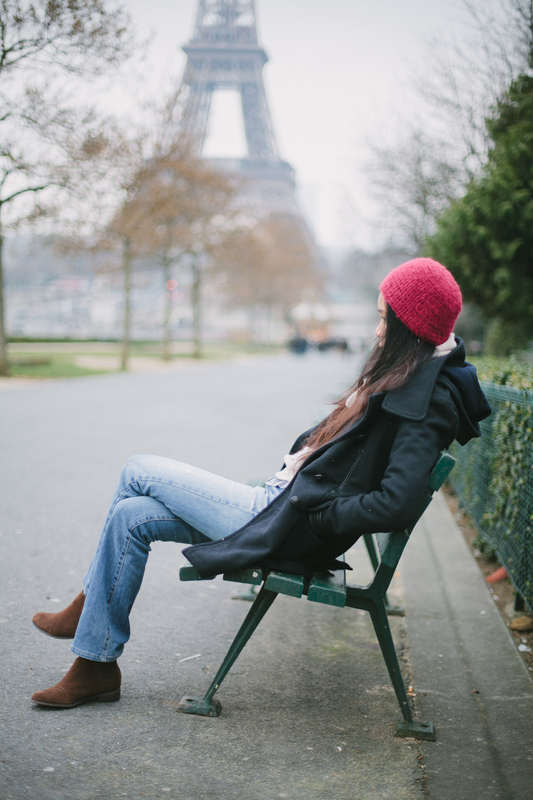 It is so worth it, because Paris is the prettiest during winter. It is like a big playground for the busy Parisians and the bubbly tourists when snow flakes starts to fall, and the city starts to be faded in white. First time i was there I still felt like a tourist, but the last time made me felt that I have to sink in myself in this kind of lifestyle (knowing we have to be there at least once a month this year for filming…I think I will have enough of Paris this year :P). Perhaps I kinda look like a big stuffed muffin in my clothes above, but I just have a weird love for flare jeans + boots + coat. While maybe I got bored on my skinny jeans, I tried to put up a very casual 70’s bell bottom without being too kitschy nor retro, and made up on this wrapping-yourself-like-a-present-kind-of-weather. Perchance, you’ll see more of this jeans in a more verboten yet clean and relaxed ensemble in my next posts (rooting for spring). I am so glad that we finally had the chance now to rest fully. Even though we still have piles of errands to do. I promise to post more of our upcoming adventures!